I don't have a lot of time to write, but there are two albums out on the always amazing Malignant Records that you must have. The first, as you see above, is the latest album from one of the best artists in the death industrial genre these days, Nyodene D. His Every Knee Shall Bow was one of my favorite albums of 2011, if you recall, and it's no stretch to say that Edenfall was one of my favorites of 2012. 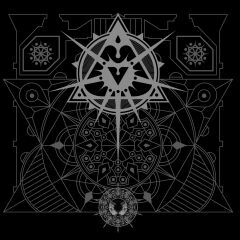 Mr. Vilk has really hit his stride, harnessing that great sound that encompasses death industrial, dark ambient, power electronics, and noise, and has put it to great use once again. 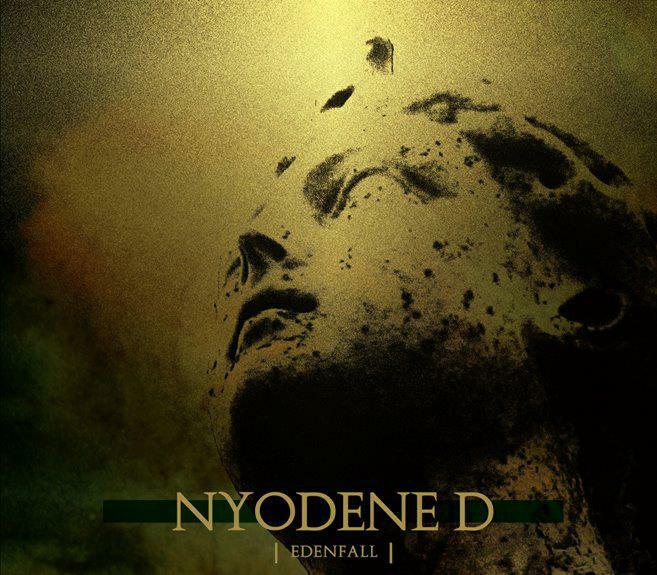 Nyodene D has become one of the best at melding the serene and the chaotic into something that is neither of those things, but at the same time is both. This record is very easy to get lost in - at some point it stops being music and becomes a certain dark place - the place wherever you are. Definitely recommended for winter listening while the sun sleeps. This album is a lot noisier than I expected it to be, but every bit as good as I could have hoped. You can get a taste of it here, but you are of course encouraged to buy it either in its standard digipak edition, or in a special boxed edition which also contains a terrific CD of collaborative work between Nyodene D and Sektor 304. I didn't do a year-end list for 2012, but if you know me, you probably know from my incessant raving that the two Theologian albums that came out in 2012 (The Chasms of My Heart, on Crucial Blast, and Finding Comfort in Overwhelming Negativity, on Handmade Birds) were my absolute favorite records of the year. They both tore my insides to shreds in ways that no metal album ever has. To me these albums were unrivaled, and it really wasn't even close. But you may recall that before Theologian came to be, Lee Bartow was the man behind the excellent Navicon Torture Technologies. Malignant has now reissued the two bonus CDs from 2009's Gospels of the Gash box-set in the form of Your Suffering Will Be Legendary. These two discs contain NTT collaborative tracks with a wide array of diverse artists such as Jarboe, Troum, Deutsch Nepal, and many others. I've been waiting for this for a while, and am very excited that it is finally here. I'm placing my order as soon as I'm done writing this, and I recommend that you get your order in ASAP. You're going to want to hear this. Get both of these great releases form the aforementioned Malignant Records.